Live webcasts in San Diego - Medical Coding Training. Incorporating video live and archived with our Learning Management System, portal development. Washington D.C - Health Care conference webcasting. Subscription only Live webcasting. CME training using an ICV Media Portal. On location in Connecticut for Health Care training webcasting and LMS web portal integration. 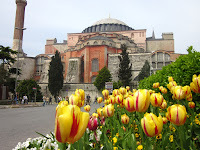 Then off to Istanbul, Turkey for the International Pharma Congress Live Webcast. ICV Webcasting crews shot in Orlando Florida at the International CTIA Wireless Convention. We streamed Live HD webcasts to the CTIA website. We directed, shot and edited onsite interviews using multiple Quad Core iMacs running Final Cut Pro on the show floor. Posting more then 10 videos daily. Essentially, people want to know: "How will my audience see and interact with my content?" "How do I control my video content?" "Where will it live?" "What exactly do you do?" Understandable confusion. Because if you haven't managed a live webcast or don't manage digital media assets already, trying to understand the A to Z of the video streaming and live webcasting process is without a doubt, challenging..